Silentnight Anti-Snore Pillow is rated 2.8 out of 5 by 5. The Silentnight Anti-Snore Pillow has been cleverly designed to help reduce snoring. 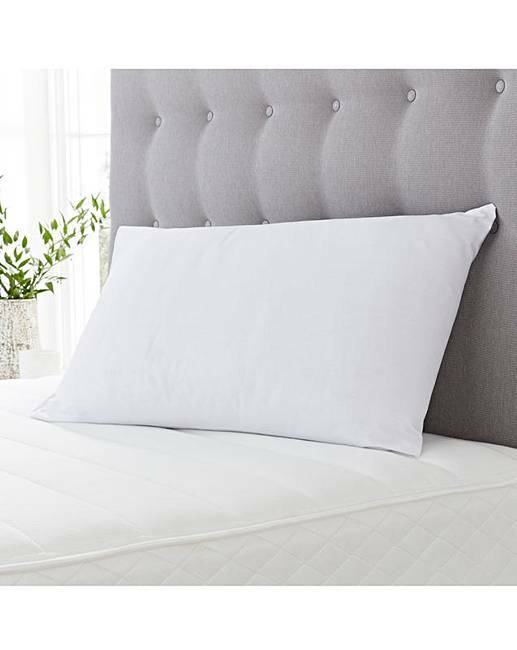 The centre of the pillow is an ergonomically shaped foam core which has been designed to support your head and neck, keeping it at just the right position to improve your breathing. The foam is surrounded by hollowfibre, so the pillow is soft, but supportive and is ideal for people who sleep on their back or side. The outer fabric is smooth polycotton which is soft and breathable. Hypoallergenic. Recommended by the British Snoring and Sleep Apnoea Association. 2 Year manufacturer's guarantee. Cover: Polycotton. Filling: Foam and Hollowfibre. Rated 1 out of 5 by sweetpearae from Do NOT buy - PLEASE READ Unless you 100% sleep on your back do NOT buy this pillow - they should be banned. 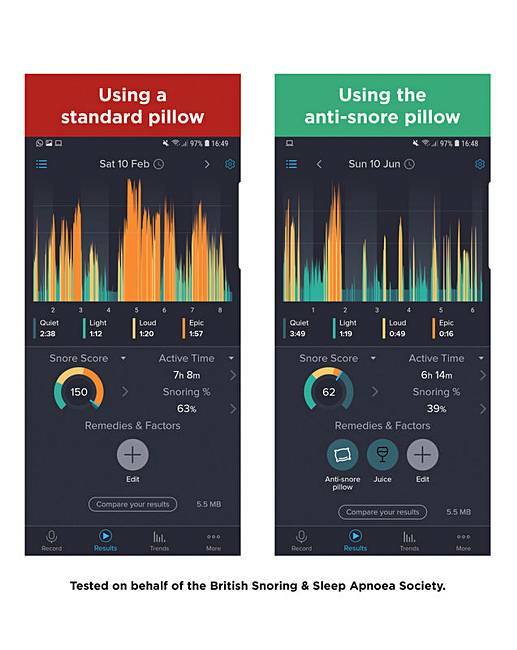 Last night I used mine for the first time and dangerously compressed my neck as I had moved sleeping position - now I know it says for back and side sleepers, I thought I was, but I woke face down in the 'core' of pillow unable to breathe as the outer part of pillow was pressing on my throat. I have never been so scared. Please please share this info. 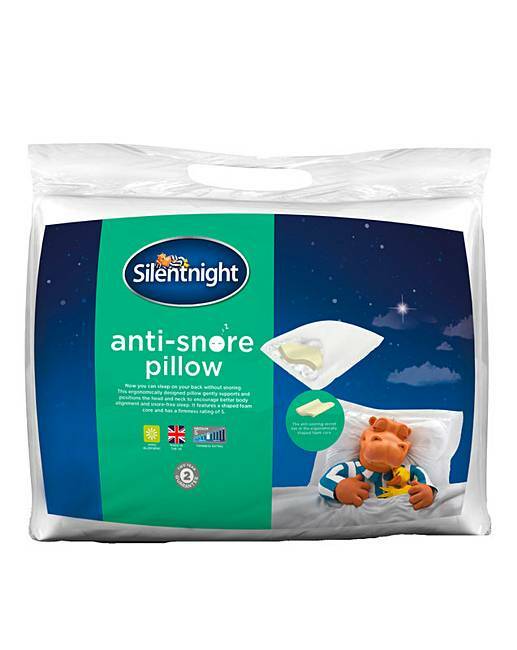 Rated 3 out of 5 by Sooty from Anti snore This pillow had a good write up. Loads said it worked. Got it for my husband and it didn't for him. Rated 1 out of 5 by Cat from Doesn't work Well, first night of my partner using this, and as its currently coming up for 4am, I think it's safe to say it's not working! If anything, his snoring has got worse. I was hoping that this would be the answer to my sleep problems. Complete waste of money. Rated 5 out of 5 by Blue jeans 17 from It works ! I bought this pillow in the hope it would help stop my husbands snoring,I have to say it works would highly recommend.